Here we examine everything you need to know about broach sharpening. But first, let’s make sure you are broaching correctly to stop any issues causing an abnormal need for sharpening. If you’re following these steps, you are cutting correctly with your broach. Now let’s examine what you need to know about broach sharpening. Take a look at the quality of your workpiece. Are there signs of galling, tears, or a poor finish? How about the cutting edges of your broach? Touch the teeth to feel if they’re dull. Are there signs of rollover? Check to see if there are any gouges or nicks in the teeth that indicate improper handling. Does your broach ever stick to the workpiece? See if workpieces ever pick up on tops of broach teeth. Are the holes your broach is gauging below spec size? Are you applying more pressure or effort to complete the required cut? If you continue to cut your workpieces with a dull broach it may result in damage to the teeth such as drifting and breakage. On the other hand, if you apply improper broach sharpening, it could ruin the original tooth form. In this case, the broach may become ineffective, cut parts that are the incorrect size, or cause unfixable damage. When broach sharpening is done correctly, you will achieve satisfactory cycle times and meet compliance in terms of product specifications. Sharpening will also increase broach life and accuracy, which will decrease your total production cost. Ready to Sharpen Your Broaches? In order to have your broaches properly sharpened, they will need to be examined. A full inspection that details the needed repairs and regrinding will make sure your broaches are fully able to be reconditioned. It’s the first step in finding an accurate quote for broach sharpening. Get your quote for resharpening from Hansford Parts and Products. 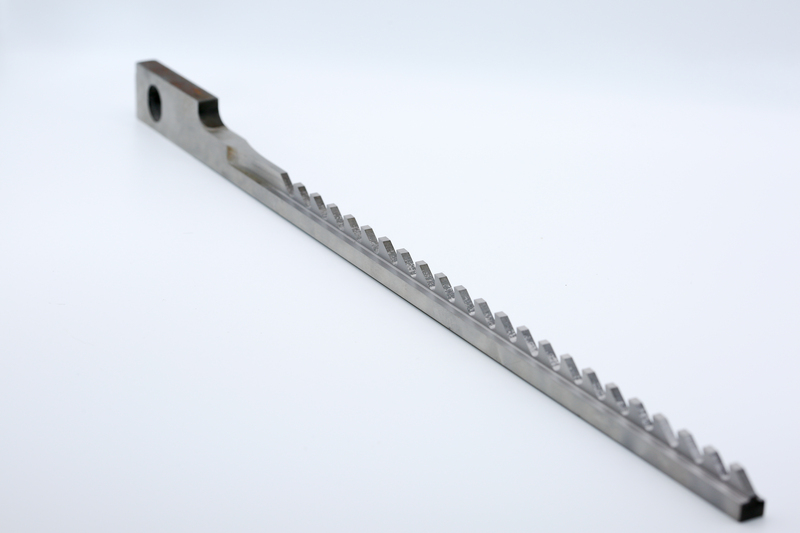 We have dedicated CNC machines that can regrind and sharpen your broaching tools. We also provide years of experience at removing the smallest amount of material to return your keyway broach to its original condition. Have a worn or broken keyway broach and need a replacement ASAP? Let us know and we’ll start building your broach so you can get right back to work. We can also inspect your existing tooling to arrange for an efficient maintenance or replacement plan. This partnership strategy prevents unplanned downtime and keeps you in line to maximize productivity and profitability.